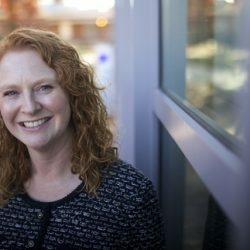 Reading, Pa. – Alvernia University appoints Glynis Fitzgerald as the new provost responsible for serving as the chief academic officer overseeing the College of Arts and Sciences, College of Professional Programs, School of Graduate and Adult Education and several other important administrative areas. Fitzgerald currently serves as associate vice president of Academic Affairs and dean of the School of Graduate Studies at Central Connecticut State University. She succeeds Interim Provost Jerry Greiner, former provost of Hamline University and emeritus president of Arcadia University.